Jordan and I have a pretty good budgeting system in place. 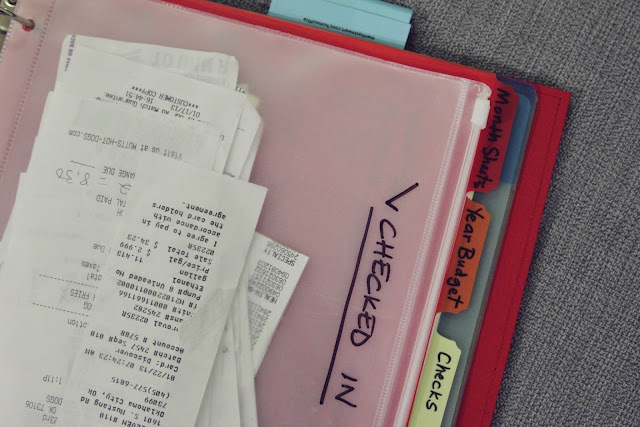 We save every receipt and keep track of exactly how much we spend every month. Since getting married, we've paid off both our car loans and both our student loans, and as of right now, we are completely debt free. It's been going well, but there is always room for improvement, and one area of the budgeting system that we don't have down is the actual organization of our system. This post is what inspired me to make this budget binder*, which I spent way too much time on and am super excited about sharing with you! 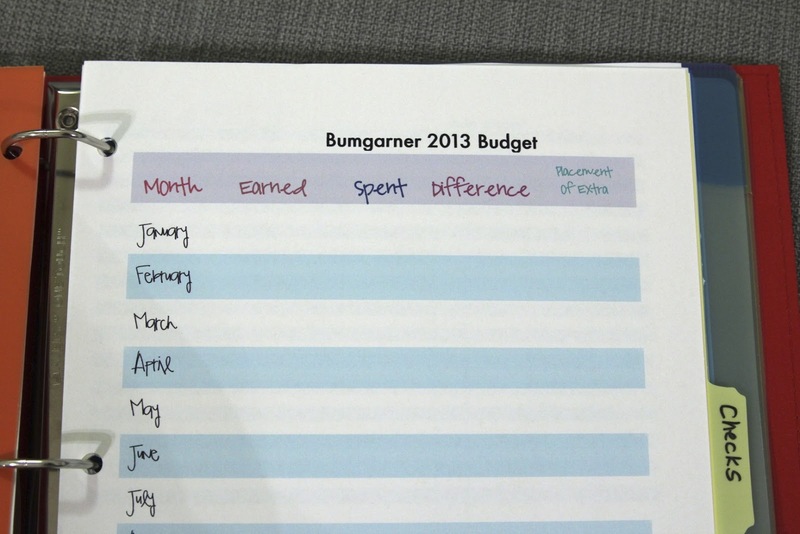 This is the budget sheet we have used every single month since August of 2011. It has the 7 main categories on it--entertainment, gifts, misc., personal, medical, gasoline, and grocery--and we write down every receipt amount, add it by week, and total it at the end of the month. We always know exactly where we're at and how much money we have left at any time. I'm excited about this budget sheet. I just made it for 2013, and I think it will help see how much we're saving every month. This will be especially good to know because we're currently saving up for a down payment on a house. 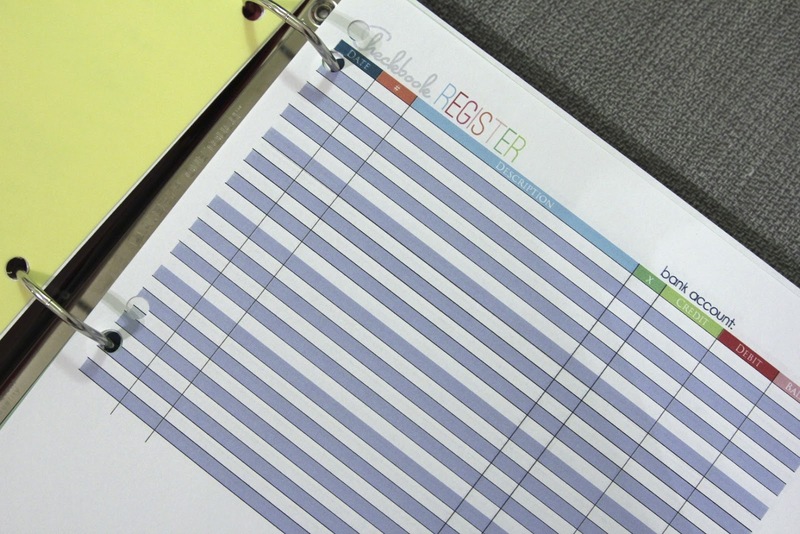 I also add this checkbook register sheet, which I downloaded for free here. I think this will be much better and more organized than the stupid blue checkbook book I've carrying around that has pages falling out. This last page is the one I am really excited about. 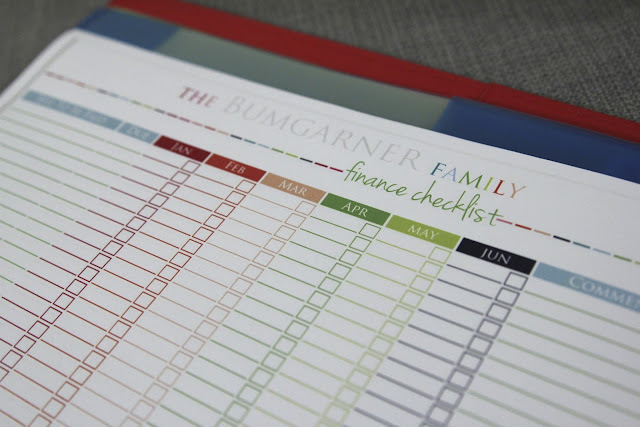 The blog where I got this budget binder inspiration is called iheartorganizing (a great blog for organizing fools like me), and she has an Etsy shop where she sells some of her spreadsheets. 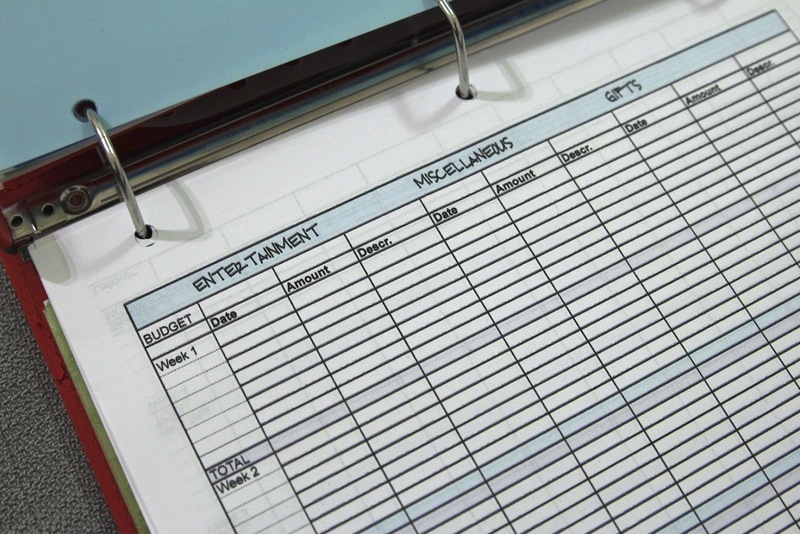 I bought this finance checklist for $3.00. Yes, I spent money on a spreadsheet. But I will reject your scoffs, because I am certain this will revolutionize our system. Here's why: With this sheet, I can better keep track of the bills that have been stacking up on our counter. I've even paid a bill or two late because--shock!--I forgot. Good grief, what have I become?! I added this spreadsheet to our budget binder along with a pocket folder so I can put our bills away as they come in and immediately note them on this sheet, adding a checkmark after I've paid it. And that, my friends, is three dollars well spent. 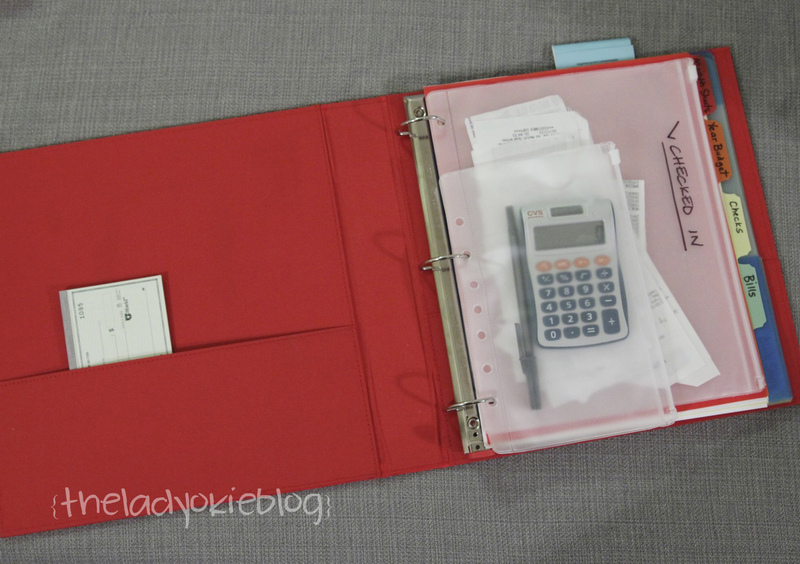 So the budget binder is complete, along with extra sheets and a few more pocket folders for paystubs and coupons. 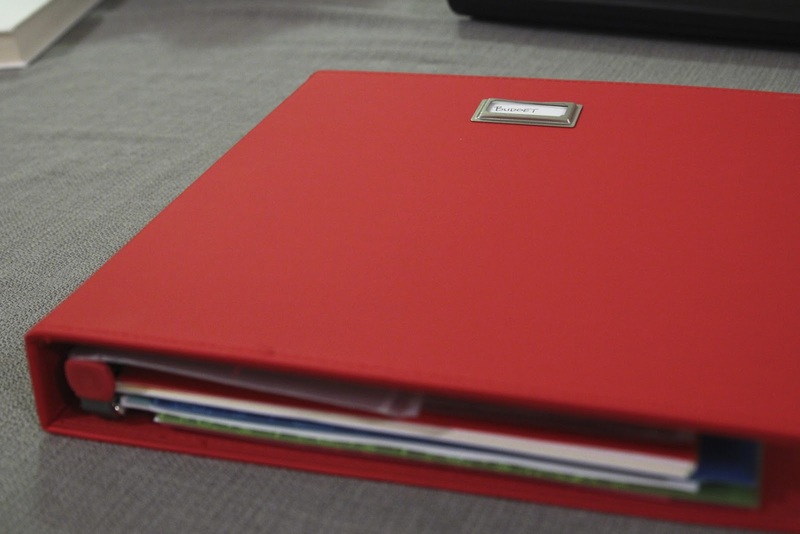 I'm oddly excited about my bright red binder, and the nerd in me just wants to get to the end of January so I can write some stuff down on my new sheets! I'm kidding, but I'm serious. UPDATE Part 2: Take a closer look into our budget system. Glad you enjoy the printables! Thanks so much for sharing! Maybe I'll feel differently about this if I ever get a husband and have double the amount of expenses to account for, but... You are odd. I don't understand how, if you are debt free, you can have so many bills that you would possibly forget to pay them on time. I also don't understand why, in the year 2013, you don't have your bills set up to be automatically paid. 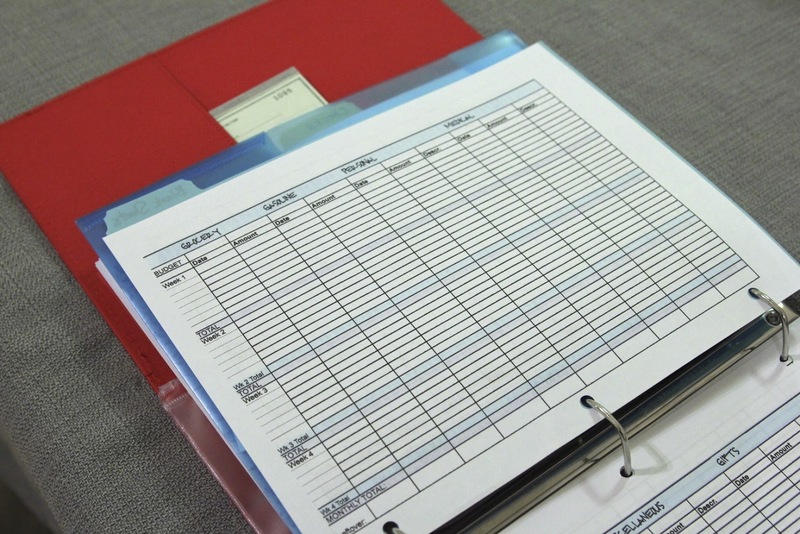 I like the idea of the binder but not for finances. Again, given that I have credit card debt, a car payment, a mortgage, a student loan, AND a dog, none of which are bills that you have - on top of all the regular bills of just living - I would venture a guess that I have more bills than you do, yet I've never needed a binder to keep track of them. And yet again... I don't have a pesky husband's expenses to track either, so maybe it's just not as easy as I imagine. Who knows. In any case, like I said, I admire the organization and the binder and all the spreadsheets. It appeals to my inner organizer. I just would use them all to organize a different area of my life. PPS It's awesome that you're saving for a house. There's nothing quite like owning your own living space. Hi Amanda! Hopping around this morning and came over to your blog. Love finding other midwest girls as I'm from KC and we we hope to get back there someday! Anywhoo... just read your engagement story and your husband sounds so sweet! How awesome to have your whole family there and do it at such a great landmark! I'd say he is a keeper! Good luck with the marathon training and I'm your newest follower so I can see how that goes! Hope you'll stop by and follow back! This is awesome! While we are debt free, have a down payment for a house saved up and do pretty well with budgeting (although there is ALWAYS room for improvement) we do not have this colorful or detailed of a system in place. I really do like the color. We did the cash only thing for awhile and it worked great before kids but then that got to be a little much. So we're back to CCs and use mint.com. 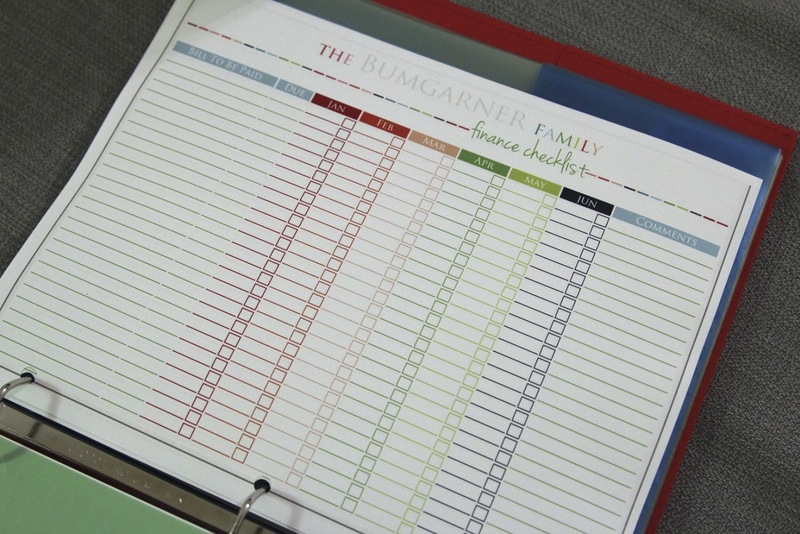 Its pretty handy and budgets and categorizes and adds for us. And the CC points/rewards are a pretty good bonus too. Good luck saving for a house! Dave Ramsey would be proud! I heard on his show today that student loan debts have now surpassed credit card debts as far as what is hanging over people's heads and keeping them in debt. Good for you and Jordan for paying yours off already! You speak my language. 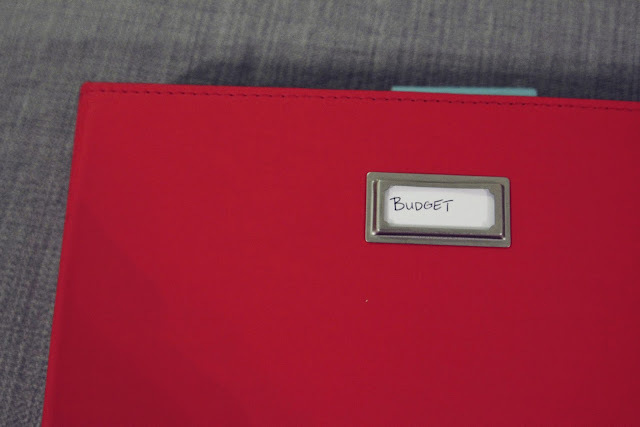 I too am an organized, budgeting nerd and proud of it. although, I do everything electronically, but I get great joy from my spreadsheets! Wow - very impressive organization with your budget! I need to do something like this too! Sounds very helpful! I'm starting to be a little more proactive in my budgeting although I've always been a once a week check book balancer so I would know where I was. I love your binder it is so cute! If nothing else that awesome red will make you feel happy when you are paying bills. Blog hopping this am and found yours. Your system looks great! 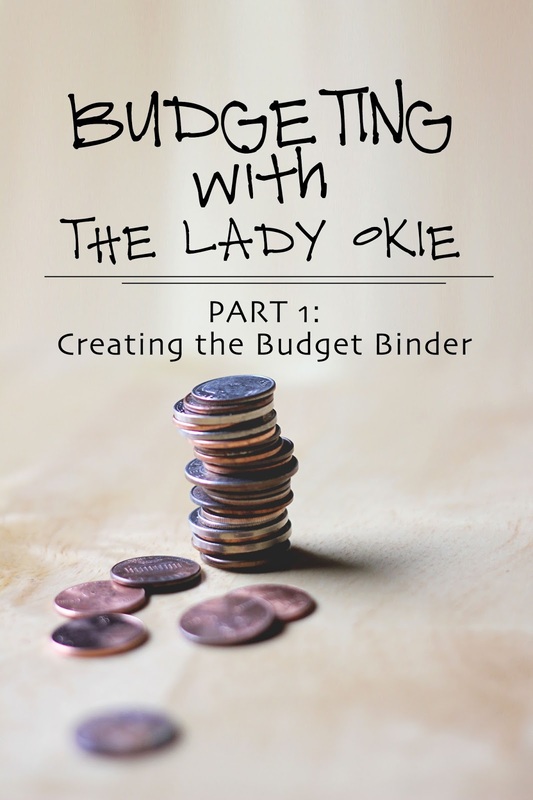 Budgeting is always quite complicated, but it really works! I understand why people might have a negative view of a budget. But budget doesn't have to be restricting. It is indeed a blue print of what you want to do with your money. It helps you see your priority better. Thanks for sharing your useful tips!